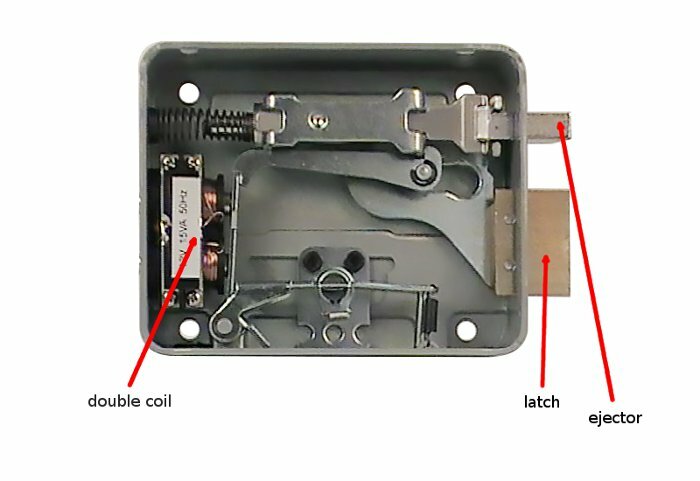 One of the most frequent causes of electric lock malfunctions is a faulty coil controlling the ejector. For this reason, the best locks are fitted with a double coil which, by uniformly distributing the load, guarantees considerable reliability over time. Viro locks are fitted with a double coil which guarantees a longer service life. 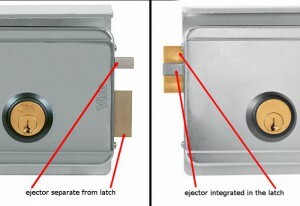 The separate ejector allows the lock to tolerate variations in vertical alignment of ± 7 mm, compared with ± 3.5 mm for locks with the ejector integrated in the latch. 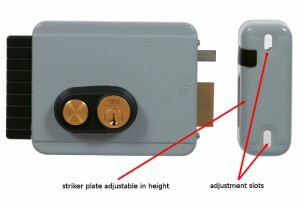 This ensures correct operation even after expansion or contraction caused by temperature changes (in the case of metal doors or gates) or humidity variations (in the case of wooden doors), and also when the wear of the hinges tends to misalign lock and striker. 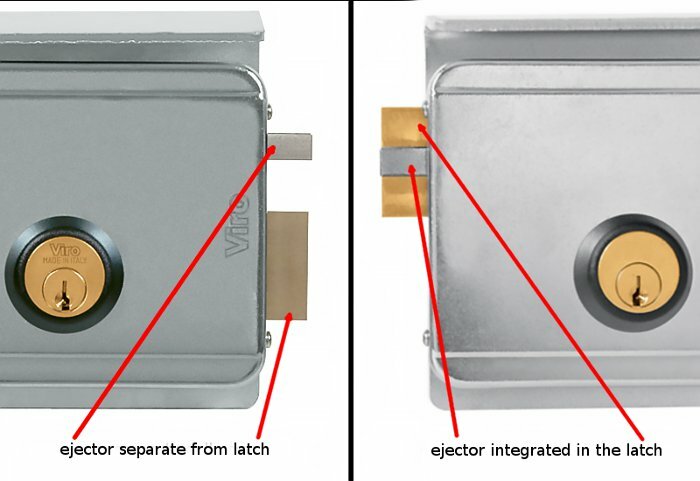 In the Viro locks, the ejector separate from the latch tolerates a greater misalignment. Over time and with wear of the hinges, the lock and the striker tend to lose alignment, initially complicating the closure and finally making it impossible. For this reason it is important to have a height-adjustable striker, which allows you to recover any vertical movements. The pushbutton allows the door or gate to be opened from the inside even without a remote electric pulse, and so even without electricity. Brass pushbuttons are preferable to plastic ones, as they do not lose their colour, do not crack and do not break. They therefore have a much longer service life. Doors and gates are not all the same. Some are heavy, needing an ejector with a more rigid spring, and some are light, on which an ejector may be used which has a softer spring, and therefore require less effort to close. 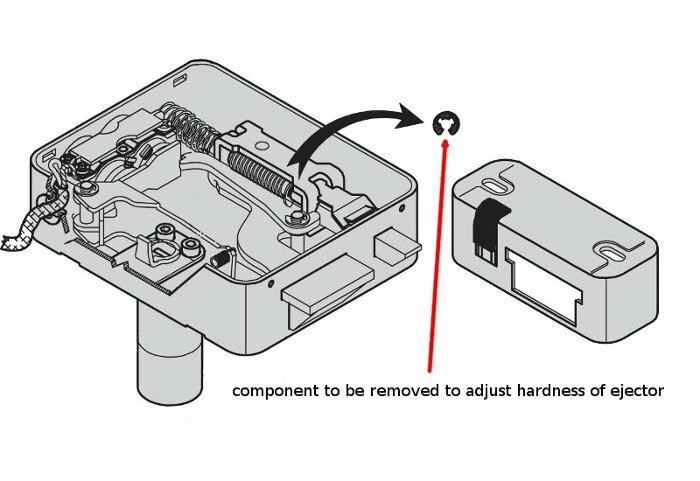 Better locks have the possibility of altering the rigidity of the ejector spring by means of simple internal adjustments. The locking force in Viro locks is adjustable simply by removing a ring. 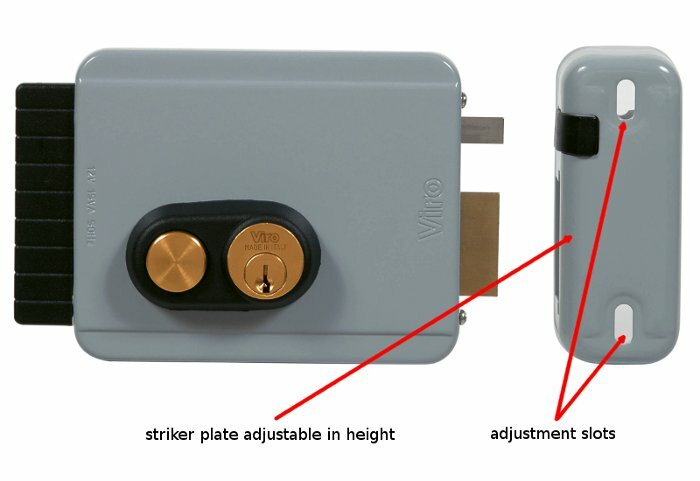 If you are struggling with an electric lock which is causing you problems it is worth considering the idea of changing it for one with the above features. The same applies if you are buying a lock for a new installation, because it is better to start on the right foot. 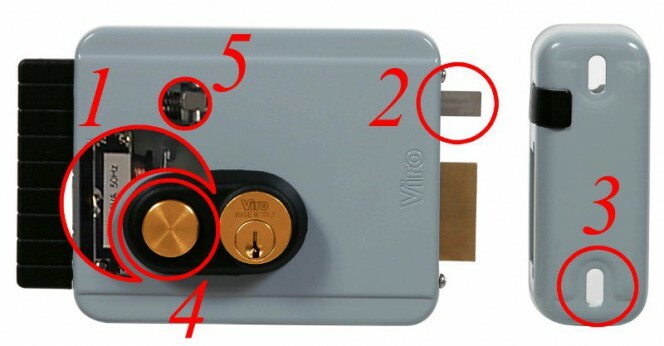 It must not be forgotten that a good electric lock must have all the quality requirements of a rim door lock, which we have already seen in a previous blog and, just like a manual rim door lock, one must take into consideration the backset, the external cylinder and the direction of opening of the door/gate. I just bought my first house and I want to replace the locks on the doors. Lately, I have been considering getting some electric locks for my main doors. It is good to know that some kinds can get stuck often. So, I should probably talk to a locksmith about what type of lock will give me the least amount of trouble.